Believe it or not, the caffeine in antioxidant-rich coffee can help wake up your metabolism in the morning. By having a single cup of coffee, which contains approximately 100 mg of caffeine, you can improve your exercise performance and increase your metabolic rate. Not only will this burn calories throughout the day, but if you get regular exercise, it will help you keep your metabolism healthy. Additionally, coffee has been proven to improve mental acuity and it can even act as a mood booster. Add to that the fact that coffee (which is the number one source of antioxidant intake in the US) has been associated with a lower risk of diseases such as diabetes and Alzheimer’s due to its excellent antioxidant profile, and you’ve got one incredible beverage that’s super convenient and readily available almost anywhere in the world. Just make sure you skip the sugar and cream as much as possible to avoid any negative effects. If coffee isn’t your beverage of choice, green tea may be a better option for you. While green tea brands may vary in caffeine content as well as antioxidant levels, all green tea is good for boosting thermogenesis, which is basically your body’s way of burning fat through heat production. Thermogenesis is a natural process within your body which increases your fat metabolism and your overall energy expenditure. Green tea is rich in the thermogenesis-enhancing antioxidant epigallocatechin gallate, or EGCG, which is also known as epigallocatechin-3-gallate. This antioxidant also enhances the ability to use fat and it reduces the body’s ability to absorb fat, which makes it particularly effective for losing weight. However, just as green tea brands vary in caffeine content, they may also vary in EGCG levels. The length of time your tea is left to brew also makes a significant difference, so be sure to pay attention to any directions given on the tea’s packaging. For instance, brewing a cup of Ti Kuon tea for 2 minutes will yield 9mg of EGCG per cup, while a cup of Gyokuro tea brewed for 10 minutes provides 540mg. Oats are widely considered to have the highest satiety value of all breakfast foods. This is largely due to the fact that the fiber in oats can cause an elevated level of peptide YY, or PYY, in the body. PYY is a hormone which helps you regulate your feelings of hunger and fullness, so when you eat oats, your body quickly releases enough PYY into your bloodstream to signal satiety. Beta-glucan, the fiber in oats, can also improve insulin sensitivity and reduce LDL cholesterol levels, which can help you lose weight easier. For the best results, you should choose steel-cut or rolled oats instead of instant varieties, and you should always flavor your oats yourself instead of purchasing pre-packaged, flavored, sugary types. If you wish to sweeten your oats, choose a natural sweetener such as honey, raisins, or chopped fruit. If you are looking to add more protein to your diet, having eggs for breakfast is an excellent choice. Not only will eggs help you feel full, leading to fewer calories consumed later in the day, but the extra protein will help you maintain lean muscle mass and provide fuel for resistance exercise. Egg also contain antioxidants such as lutein and zeaxanthin, as well as 13 vitamins and minerals, so there are plenty of reasons to consider them for breakfast. And if you’re worried about cholesterol, researchers now believe that blood cholesterol levels vary more depending on the amount of saturated fat consumed as opposed to the amount of cholesterol in any given food, so eggs are not as worrisome as they were once believed to be. If eggs are not your speed, or if you want an alternative protein option a few days a week, Greek yogurt is the perfect solution. With up to twice as much protein as regular yogurt, Greek yogurt can help you feel full while increasing your metabolism and feeding your muscles. The appetite hormone PYY, which is also activated by oats, is increased when you eat yogurt, which helps you regulate your eating and reduce the overall amount of calories you take in over the course of a day. Greek yogurt also contains conjugated linoleic acid, or CLA, which can promote a modest amount of body fat loss. Many foods pair well with Greek yogurt, including antioxidant-rich berries and satiety-inducing oats, making it an outstanding choice to round off an already delicious and healthy meal. Cottage cheese is often overlooked, but it is a delicious and versatile choice which is loaded with protein and other nutrients. Full-fat cottage cheese combines many of the benefits found in Greek yogurt with those found in eggs, as it can boost metabolism, fill you up, provide protein, and help burn fat with CLA. Cottage cheese pairs well with many fruits and vegetables, so it makes for the perfect cold, creamy, protein-rich substitute to eggs on a hot day. Grapefruit is a simple solution for filling up and making your weight loss efforts more effective. Grapefruit is also packed with water, so it will help keep you hydrated, which is an important step in weight management. Half a grapefruit eaten before each meal, especially breakfast, has been shown to help reduce weight. However, if you are taking any medications, make sure none of them will have any adverse reactions from eating grapefruit. Low in calories but high in fiber, blueberries are a delicious choice for anyone who wants to add a touch of sweetness to their breakfast. In addition, the high levels of phytochemicals found in blueberries can actually help melt away your belly fat, so they are a sweet treat that will do your body good. Blueberry consumption can even bolster the genes associated with fat burning and storage, meaning they will help you out long after your morning meal if you eat them regularly enough. Furthermore, blueberries can help protect against high blood pressure, which in turn will help prevent you from developing another weight problem years down the road. Blueberries are a tasty pairing for many foods, including Greek yogurt, oatmeal, cottage cheese, whole grain cereal, salad, nuts, and multigrain pancakes. Despite being high in fat and calories, peanut butter can make you feel comfortably full for hours and hours. Peanut butter triggers higher levels of the PYY hormone, which makes you feel satisfied and ends your feelings of hunger. Try adding a spoonful or two to your oatmeal or your Greek yogurt in the morning to really benefit from the satiety-boosting effects of all-natural peanut butter. However, make sure to avoid processed peanut butter, which often contains chemicals, sugars, stabilizers, and unhealthy oils. Natural peanut butter should contain only nuts and salt. 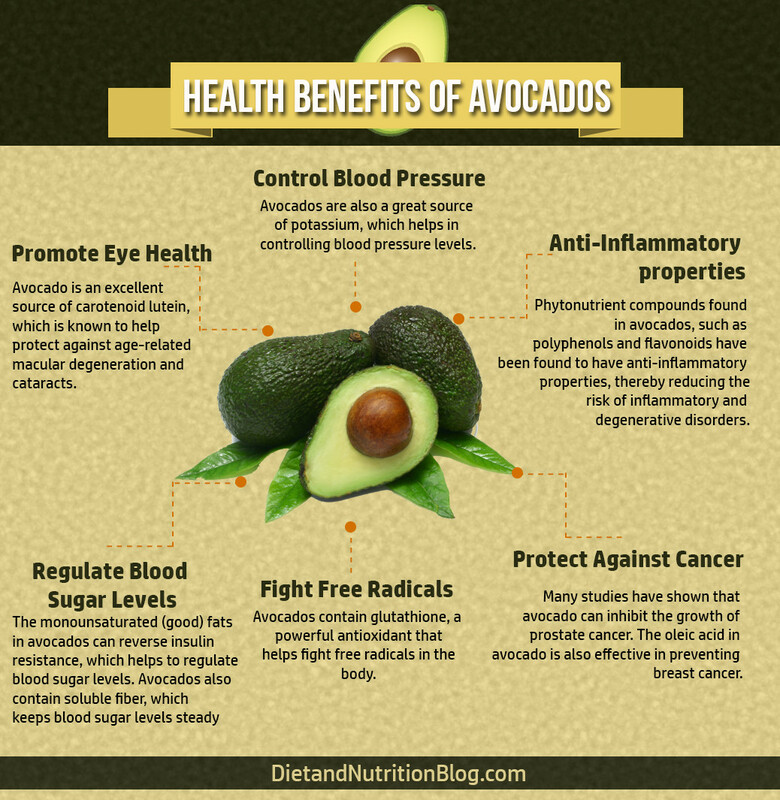 Avocados are an excellent source of monounsaturated fat and fiber. This helps keep you feeling fuller for longer, which, like many other foods we have discussed, will keep you from taking in excess calories throughout the rest of your day. Additionally, the oleic fatty acids in avocados have been shown to help burn abdominal fat. Avocado is a satisfying, buttery, and versatile treat that can be paired with whole grain toast, eggs, cottage cheese, or any other savory breakfast dish.